100 Strong Bandon is made up of women just like you who want to improve the lives of those living in Bandon by joining funds with other women to make a real impact in just one hour. 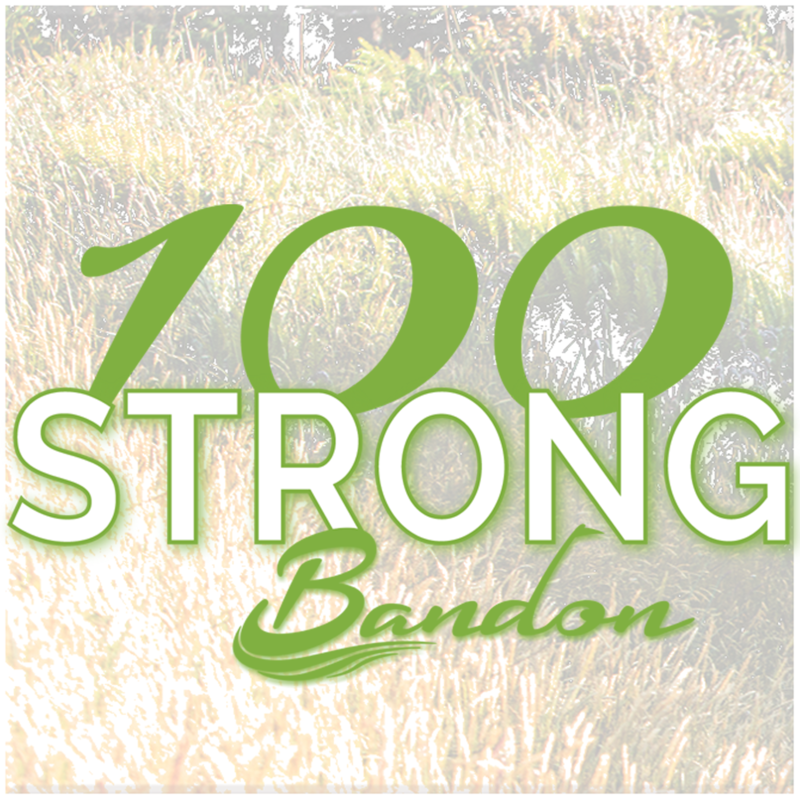 To join 100 Strong Bandon, complete a membership application form. New members are welcome throughout the year. All of the leaders and members of our 100 Strong Bandon giving circle are volunteers. 100 Strong does not keep any of the money that is collected. 100% of your donation goes directly to the selected charity! We meet quarterly on the third Wednesday of February, May, August & November, 5:30 to 6:30pm. We’re a group of 100 women committed to financial support of charitable organizations serving Bandon area residents. We get together 4 times a year for a one-hour meeting, learn about local charities, and each donate $50 (or more) to the charity selected by the group, for a total impactful gift of $5,000+ each quarter. Our group was inspired by 100 Women Who Care, a group founded in November of 2006 by Karen Dunigan of Jackson, Michigan, as a brilliantly simple way to raise money efficiently and quickly for local charities. Her group of 100 women, at their first one-hour meeting, each wrote a check for $100 directly to the charity, raising $10,000 to buy 300 new baby cribs for an organization in their city. Since then, they have grown to over 200 members and Women Who Care chapters are forming all over North America. These groups collectively have donated more than a million dollars to locally based organizations. To sign up, complete our electronic membership form. In 2017, we will meet the third Wednesday of May, August and November, 5:30 to 6:30 p.m.
Every member can nominate a local 501(c)(3) charity. All nominations are put into a hat. Three (3) charities will be drawn randomly from a hat. The member who nominated the charity will spend up to 5 minutes discussing why the charity was proposed & what the proceeds will be used for, followed by up to 5 minutes for Q&A. After the 3 charities have been presented, members will vote via a written ballot. The top vote-getting charity then receives all of the checks, made out to that charity on the spot! Additionally, the charity selected at the prior meeting will spend 10 minutes updating the group on how the funds were utilized during the prior quarter. At each of the 4 meetings during the year, 100 Strong members give, collectively, up to $5,000 to a local charity right here in the Bandon community. It’s fast, simple, and amazingly effective. 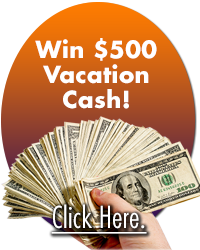 We invite you to attend any time as a guest to see how it works and decide if the group is right for you. If you are interested in helping out at a meeting, just let one of our volunteers know when you check in and we’ll gladly accept your help in handing out name tags, welcoming members as they arrive, and more. It’s a fun way to get to know more of the generous women in our community. What Happens If You Cannot Attend the Meeting? If you missed the meeting, didn’t send your check with another member, or just forgot to bring your check, please mail your $50 check made out to the selected charity to: Bandon Chamber of Commerce, Att: 100 Strong Bandon, PO Box 1515, Bandon, OR 97411 no later than 5 days after the meeting. 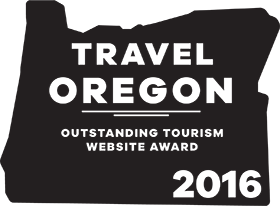 You must be a 100 Strong Bandon member to nominate, and the charitable organization must be registered in Oregon as a 501(c)(3) nonprofit group providing support to Bandon area residents. To nominate a charity for consideration, complete a nomination form and submit it at the meeting. You must be at the meeting, and be a member, to put a name in the hat and speak about the organization. State your name and the name of the organization you would like to receive funding. Share the organization’s mission. Describe the program that you would like to be funded. Provide some background information, if possible. Identify how many people and who the funds will impact. Explain the measures that will be used to ensure the success of this program and good use of the donation. 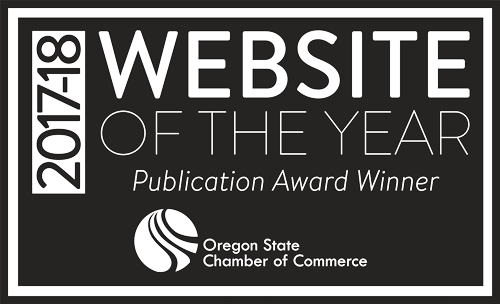 Describe the organization’s compliance with fiduciary responsibilities, include state registration: Search the Oregon Secretary of State nonprofit registry online. Visit the National Center for Charitable Statistics website for information on charitable guidelines. End with a heart-felt ask and a thank you. There is no membership fee; and the Bandon Chamber does not retain any percentage of funds donated to selected charities. Each of the three charities selected from the hat will be given 5 minutes presentation time at the meeting. This presentation must be made by a member of 100 Strong Bandon, who may or may not be a member of the organization. In the event of a tie in voting for charities, we will vote again between the two charities involved in the tie until a charity is chosen. The charity selected for our donations may be resubmitted for consideration one year after been selected. All other charities nominated, (those drawn but not funded, as well as those nominated but not drawn), will remain in the pool for selection at a future meeting. If you are unable to attend any given meeting during the year, please give your check to a member to deliver on your behalf, or mail your check made out to the selected charity to: Bandon Chamber of Commerce, PO Box 1515, Bandon, OR 97411 no later than 5 days after the meeting. By ballot, the group will vote, and the majority rules. Even if charity selected is not your first choice, you still must donate. All checks go to one charity. Only members are eligible to vote at the meeting. You may bring a guest to the meeting, and we encourage guests to attend and learn more about 100 Strong Bandon, but guests will not be eligible to vote. No national charities will be considered, however, local branches of national charities are eligible for consideration. The purpose is for 100% of the contribution to stay in Bandon. Only three charities will be nominated at each meeting. The charitable organization receiving the funds must agree NOT to use names and contact information of donors for future solicitations, nor give the information out to the public or any third party. Check this page for upcoming meeting dates and locations. As always, we welcome new members or those who want to come and experience a meeting before joining. Be sure to bring your check for $50.